Juan Mata said Manchester United are facing a defining month as they prepare to meet Premier League rivals Chelsea and take on Juventus in the Champions League. United are eighth and seven points off the pace ahead of their trip to joint-leaders Chelsea at Stamford Bridge on Saturday. The Red Devils have already lost three Premier League matches this season as pressure mounts on under-fire manager Jose Mourinho, who has been at the centre of reports of dressing-room unrest in Manchester. It does not get any easier for Mourinho, with Juventus travelling to Old Trafford on Tuesday before the Serie A champions host United in Turin on November 7, while a derby against Manchester City looms four days later. 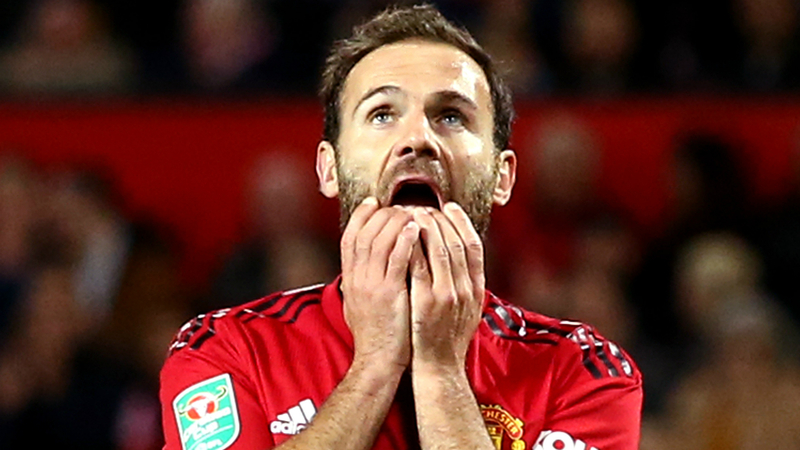 United midfielder Mata – who scored in the club's remarkable 3-2 comeback against Newcastle United prior to the international break – is braced for a tough fixture list. "It's definitely a difficult month," Mata said. "We have very tough rivals in the Premier League and play Juventus in the Champions League. "But, if we have good results, it could be a very good month, in terms of points, mindset and confidence. Let's see where we are in November and December. I think it's an exciting month ahead." United's match in London will see Mata return to Chelsea, where the 30-year-old Spaniard won the Champions League, Europa League and FA Cup before leaving for Old Trafford in 2014. "I had very good memories from Stamford Bridge and from the fans," said Mata. "I was there for two and a half years, so before and after the game I see some friendly faces - but that goes away when you're on the pitch. "Our aim is to change the negative run of results at Chelsea. We will try to be clinical in the chances we have, defend well and play with confidence. We have to believe we can win, we need that mentality in those important games."